There is no central authority that issues Bitcoins. They are created through so-called mining, which is the working of complex algorithms by a computer’s CPU or GPU. The cryptographic algorithms are in the public domain and can be seen by anyone. Bitcoins are highly devisible. When working with the fiat currencies Euro and Dollar, the smallest units are 1 cent. That means that the cheapest product has to cost at least 1 cent. As I wrote in the foot note, that is not a problem with fiat currencies as they are devaluated by design through money supply expansion. With Bitcoins having a fixed number of available coins and the arising deflation, a “Bitcent” (1% of a Bitcoin) will not be a small enough unit. Right now, a Bitcent is worth over a dollar, making it too big to be a smallest trading unit. Luckily, each Bitcoin is divisible up to 8 decimal places, creating 100 million so called satoshis per coin. You do not need an institution to handle your money. Unlike with fiat currencies, where you need a bank to receive and send funds, with Bitcoin you only need some form of client (see section “Getting Started” for a list). This is a programm (either on the web or on your own device) that generates your so-called Bitcoin address, a string of numbers and letters like “175tWpb8K1S7NmH4Zx6rewF9WQrcZv245W”. This is a public key you can send out to receive payments, your client hold a private key, that allows you to access the money credited with this address. If you want to send somebody money via Bitcoin, you enter the desired amount and their address into your client and click the send button, assuming that you have enough Bitcoins on your own address (see section “Getting Bitcoins” for this). Payments are public. This may sound a little shocking to some, but yes, every payment made via the Bitcoin network is visible by everybody with an internet access. To send Bitcoins around, the payment made has to be verified by the network. This verification takes place through the “blockchain” which can be accessed through websites like blockchain.info. This is something that first made me a little paranoid, because it seems like every step you take can be traced (see the section “Anonymity” for more). Bitcoin transactions are quick. When dealing with fiat money transfers, you can easily calculate a business day for a transfer to an account within the same banking region as you. When you make an international transfer, that can take anything between a few ays and a couple weeks. Bitcoin transactions are verified by the blockchain, usually 6 confirmations are considered safe to say the transaction has happened. In my experience this usually takes between 1 and 6 hours. Transactions are free. Unlike some banking transactions, Bitcoin transfers in general are free. You can chose to pay a small amount to speed up your transfer, but if you do not urgently need the payment within a few hours, you can use the free transfer. Coinbase.com, having their goal to create the most easily usable bitcoin client on the market. Important to say about web wallets is that they may not be free. Since these services have bills to pay too, you usually pay either a small amount for each transaction or a percentage of the Bitcoins you receive. Their advantage is the availability across all platforms that support html. The “wallets” you get with Bitcoin market places I believe cannot be considered wallets, since you do not have real autority over the addresses you are told are yours. What happens is that you are given an address that is only used for you. Once a payment is received by this address, you are credited in the service’s system with the amount, after which the Bitcoins are removed to pay for other transactions. When you check the blockchain after you send money from your “wallet” on a market place, the sender’s address will not be the one you use to receive funds. This does NOT mean you cannot use, for example, SilkRoad as a place to store your Bitcoins, however you should be aware that you have no direct possibility to recover your Bitcoins when something goes wrong, since you have no way to access the private key. So now you are either set up with a client, either mobile, computer or cloud, or decided you will only use the pseudo-wallet from a market place, you now have to aquire some Bitcoins. There are basically two ways to get Bitcoins, mining and buying. With the increasing difficulty in mining due to harsh competition by so called Bitcoin rigs, you are very unlikely to get Bitcoins this way. For example if I dedicate 50% of my laptops CPU to Bitcoin mining, I will have mined a full Bitcoin in about a year. The easier and much quicker way is to buy Bitcoins. Now you again have two options: face-to-face or online. Bitcoin.de, the biggest Bitcoin market place in Europe, arranges user-to-user payment. You buy a desired amount of Bitcoins from somebody that is selling, get their bank data from Bitcoin.de and send the amount via SEPA transfer. Once the other party has received the funds, Bitcoin.de releases the bought Bitcoins (minus a market place fee) to your account. Bitstamp.net, it is generally the cheapest market place. You send funds to your account by sending a SEPA transfer with a your unique number in the regard-line of your transfer. Usually within one business day, your funds will be converted to dollar and credited to your account. With these, you can now buy Bitcoins. MtGox.com, generally the most expensive, it has had almost a monopoly on Bitcoin trading in the past. It is based in Tokyo, though they work with a bank in Poland allowing deposits via SEPA transfer for Europeans and have a US bank account for Americans. I would highly suggest NOT to use MtGox, as there are currently (August of 2013) hugh problems with deposits and withdrawals. Usually taking about 3 weeks, many users have been waiting for their withdrawals for several months now. Above I have mentioned the blockchain and the possibility to track every transaction. When I first learned about this, I was worried that this would make every one of my transactions completely transparent to whoever might care. 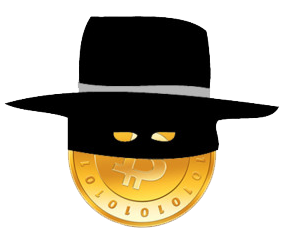 However there are some things you can do to stay anonymous using bitcoins. For one, you can simply buy Bitcoins face-to-face. You will usually not have to identify yourself to the person selling you their coins. Cash for coins is very anonymous. Perhaps even easier than that is the use of a mixer. A Bitcoin mixer is a service that takes in Bitcoins to address A and sends out the same amount (if requested) from address B. The Bitcoin system used by the Silk Road is built that way, you send your coins to an address linked to your account and are credited with that amount in Silk Road’s database. The actual coins are send out for other people’s payments. When you withdraw your funds, they are sent from another Bitcoin address, making it impossible to trace the flow of money back to you without access to Silk Road databases. What the authorities can see it that you sent €100 to Bitstamp.net (trust me, they can see everything you do with your bank account! ), they can find out that you sent out one Bitcoin to address xyz and then they see that your one Bitcoin was sent through several payments in shared wallets to a dozen different addresses. There is now a second Bicoin wallet that has your money in it but cannot (through the blockchain) be linked to you. Congratulations, you just fucked the system! This is one reason Bitcoin is hated by governments, Bitcoins cannot be controlled and if you do it right they cannot even be properly traced. With them, you can get your fiscal privacy back to a certain degree, but Big Brother simply doesn’t like that. This probably is one of the reason, Thailand as the first country in the world has officially declared the use of Bitcoins to be illegal. On the other side it’s important to note though, that Germany has officially accepted Bitcoin as a “private currency”, source. In the end I leave it to everybody to form their own opinion about Bitcoin. I think it can’t be denied that the concept of a cryptographic virtual currency is at least interesting and to a certain degree even fascinating. Some see Bitcoin as the necessarry revolution against the ever-inflating fiat currencies and an opportunity to break the central bank monopolies. To others it is and will always remain a geek-only currency to buy drugs and stolen credit cards with. The truth in my opinion will most likely be somewhere in the middle. Bitcoin has two stigmata at this moment that need to be overcome for it to become a more widely accepted currency: the geek stigma and the drug/cc stigma. The geek stigma I believe will fall in the near future with people becoming increasingly equiped with smart phones and user interfaces becoming increasingly easy to deal with, Bitcoins will soon cross the line from the geek community over to the alternative urban culutres as it has started to happen in the left-wing districts of Berlin. There you can already find a wild mix of geeks, dread heads and 68ers (no, that is not a sexual position, it’s the local terminology for the peopel who participated in the 1968 anti-war protests). As the geeks become middle management and college hippies start their work life in the creative industries, Bitcoin will slowly but noticably grow in meaning until a critical mass is reached. Sociologists say that once a trend reaches about 2% of a population it starts to exponentially spread, similar things were observable with credit cards, paypal and even the very internet use itself. Bitcoin is a Revolution ? I believe that even if Bitcoin itself may not be the revolution itself, it at least opened the way for an alternative view on currency. Since its popularity many other similar systems have been developed including Namecoins, Devcoins and most prominently Litecoin, all of which have their own pros and cons and add to the diversity of avaiable currency systems. The road to revolution is paved, all we need to do is walk the way. One small step at a time. Deflation is increase in the value of money. An easy example would be: Today, you can get a loaf of bread for $1, tomorrow you can get 2 loafs of bread for $1. The exchange value of your currency has increased, in this case by 100%. Through the expansion in the number of services and goods produced globally, the ratio of good to currency (if the amount of currency is not expanded) will increase, giving the currency more value. This is a main point of argument between Austrian and Keynsian economics, while Austrians see no danger in deflation, Keynsians fear a deflation would be harmful to the economy, hence they argue for the continuous expansion of the money supply (side note: it’s a fact that if central banks wouldn’t expand the money supply by creating new money out of nothing, your sallary would buy you more stuff tomorrow than today. With the overexpansion of the money supply, central banks create the opposite, “inflation” which means your sallary will buy you less tomorrow than today). For those who are scared to invest in Bitcoin then the best place to start is a site like Bitcoinreward where you can earn free bitcoin without investing a penny. You simply enter your BTC address and off you go. They also offer a 50% commision scheme.